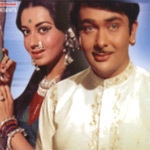 "Jeet" is a 1972 hindi film which has Randhir Kapoor, Babita, Jeevan, Sunder, Roopesh Kumar, Hina Kausar, Rajendra Nath, Dulari, Anwar Hussain, Jatin, Manorama, Nana Palsikar, Hari Shivdasani and Sulochana in lead roles. We have 2 songs lyrics and 2 video songs of Jeet. Laxmikant and Pyarelal have composed its music. Lata Mangeshkar has sung these songs while Anand Bakshi has penned its lyrics.